Did you tune in to the BAFTA Awards last night? While everyone was talking about Leonardo DiCaprio finally getting an award for Best Actor and The Revenant being the clear winner of the night (and of course, that controversial comment from Stephen Fry…) we only had one thing on our minds. 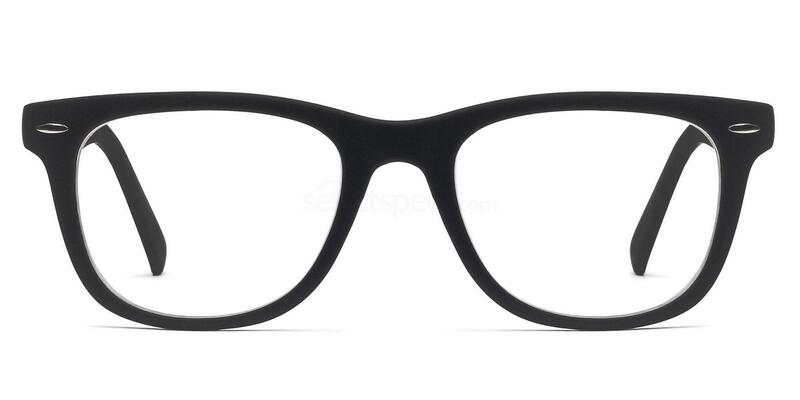 We couldn’t help but notice the amazing glasses that certain celebrities were sporting on the red carpet. So, here’s a run down of the top eyewear moments spotted at the 2016 BAFTAs. When it comes to looking great in glasses, Stanley Tucci is a clear winner in our eyes. The Hunger Games and Transformers actor is well-known for his outstanding eyewear style and he looked as dapper as ever at the BAFTAs, teaming a tuxedo with a pair of statement specs. 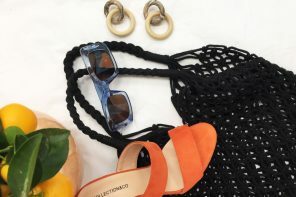 His glasses of choice were a pair of thick-framed wayfarer style glasses that complemented his formal attire, with the unmissable Céline three dot detail near the arm. 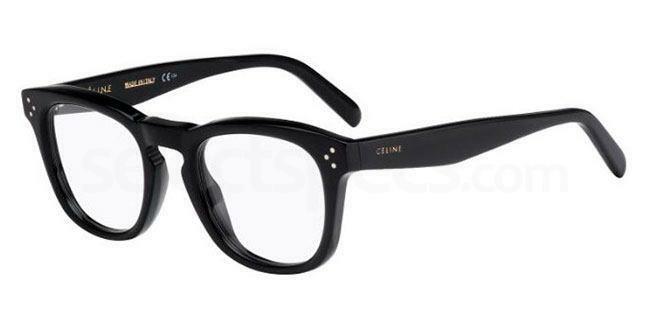 Get the look with the Céline CL 41382 which feature the same black rectangular frames and silver side detail. Director Steven Spielberg narrowly missed out on the Best Film award for Bridge of Spies, which went to The Revenant instead, but we think he definitely deserves an award for his amazing glasses. The film legend looked dashing on the red carpet in a retro-inspired ensemble, featuring a bow tie and a pair of vintage clubmaster-style glasses. 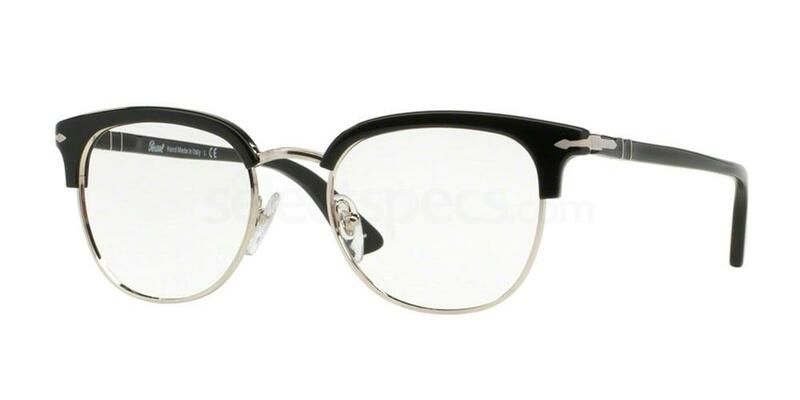 We don’t know where his stylish specs are from, but they’re very similar to the Persol PO3105VM glasses, which feature round lenses and subtle browline frames. Award for Classic Eyewear – Cuba Gooding Jr.
Cuba Gooding Jr. likes to mix things up in the eyewear department and is regularly spotted in a variety of styles, however he chose to keep thing cool and classy for the red carpet. His BAFTA 2016 look featured a clean-cut suit and tie and a pair of classic rectangular-framed specs, proving that sometimes, simple is best. 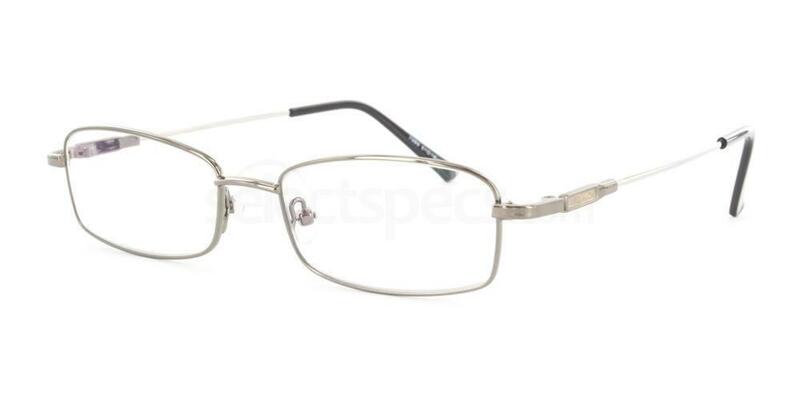 If you love Cuba’s timeless style, get the look with the Infinity 7006 glasses in gunmetal grey. Finally, we couldn’t fail to spot this fantastic celebrity selfie, featuring three of our favourite spectacled stars of the night. 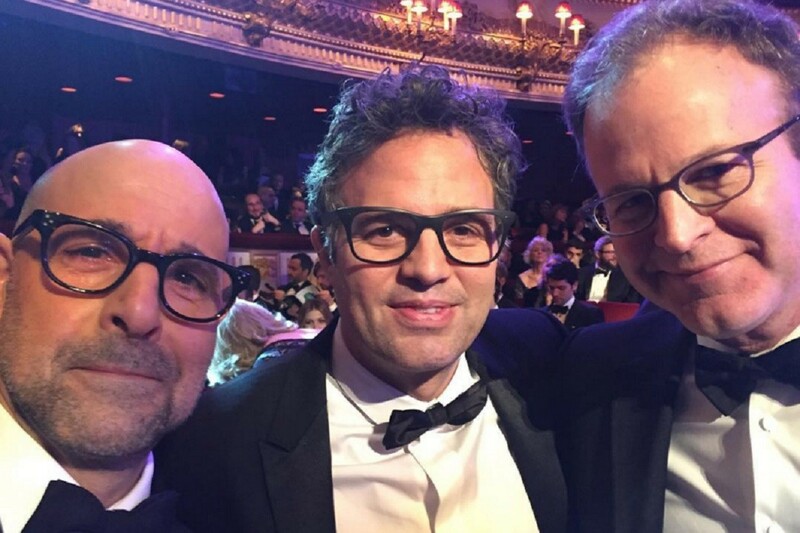 Avengers star Mark Ruffalo shared this snap of himself with Stanley Tucci and director Tom McCarthy as they watched the awards show together. We’ve already covered Stanley’s look, but Mark Ruffalo wore a very similar pair of black wayfarer glasses that seem to have a matte finish. Get the look with the Savannah 8121 glasses in matte black rubber. Meanwhile, Tom McCarthy wore a pair of sleek rectangular frames similar to the Ray Ban RX5246 glasses. So there we have it, the best eyewear moments of the BAFTAs 2016. 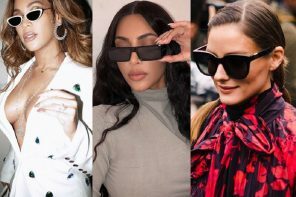 While we loved all of these looks, we couldn’t help but notice the lack of female stars wearing glasses. 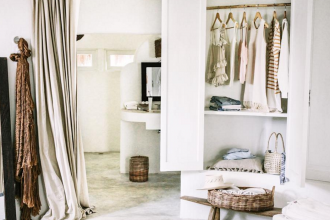 Is it still considered a no-no to wear eyewear with evening wear? Well, we think that women should embrace their glasses as much as men and rock them on the red carpet! Did you spot any other celebs in glasses at the BAFTA Awards? 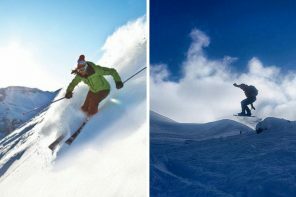 Let us know in the comments below or tweet us @SelectSpecs.